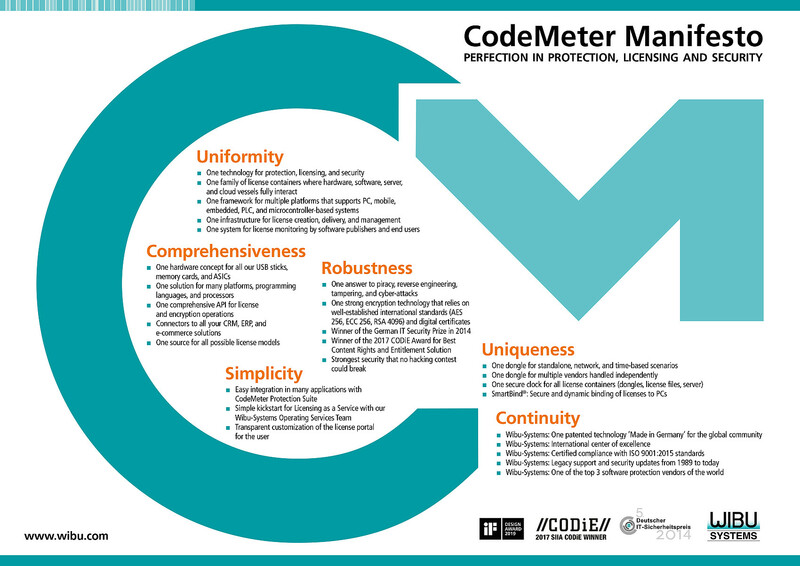 CodeMeter allows you to apply a comprehensive range of license models that includes both traditional models like single user licenses or network licenses as well as modern consumption and user-based license models. License models are defined through Product Codes and Product Item Options. The following table shows all licensing models in use. Single User License The license is stored on a local PC, a local device or a CmDongle plugged into a local PC. The software runs on the same computer/machine. Single User License in a Virtual Machine The license is bound to a virtual machine. If copying the virtual machine, the license becomes invalid. If moving the virtual machine, you decide whether the license will stay valid (high availability) or become invalid. Network License The license is stored on a license server in the network. It is used by PCs as a floating license. Feature-on-Demand License Individual licenses are used to activate specific product features and modules. This allows you to generate extra turnover through the sale of add-ons. Perpetual License The license is issued permanently and never expires. Demo / Trial License The user can only access the features of your software specified by you for a limited time. Rental, Leasing, Subscription License You specify for how long the license is valid. 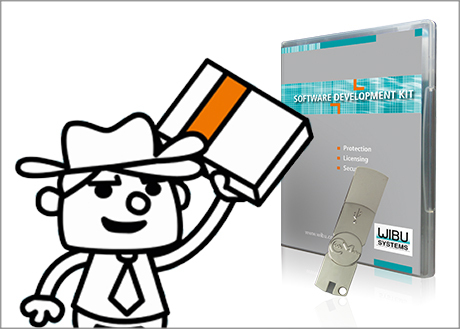 CodeMeter License Central can automatically extend the validity of the license. Pay-per-Use License Billing is based on the number of units used. You can decide whether the billing unit is based on time or function and whether the settlement should take place before or after consumption. License with Software Assurance This is a perpetual license including a maintenance agreement. During the maintenance entitlement period, users have automatic access to updates. Updates that are made available once the maintenance agreement expires cannot be used with this license. Updates that have been made available within the maintenance period can be used even after the expiration of the contract. License with Downgrade-Right The license covers the right to optionally use older versions of a program. With this type of license, a customer can migrate all clients to the new version at a later date, and the software publisher is not required to sell old releases. License with Upgrade-Right The license covers the right to optionally use newer versions of a program. With this type of license, revenues will not drop before the release of a new version. Grace Period License A software that is distributed with a grace period license can be used for a limited time without activation. Once the grace period expires, activation becomes necessary. Volume License The customer, usually a key account, is sent a large number of licenses to cover the many seats needed. Software publishers can define whether each individual computer should be activated or the system needs to be policed by audit. High Availability License The user owns a redundant license server ("2 out of 3" principle). This architecture ensures the availability of software in the event of a license server failure. Hot Standby License The user owns a second license server that automatically comes into use in the event of a failure affecting the main license server. The use of the backup server is logged and can be limited to a maximum duration. Cold Standby License The user owns a second license server or an emergency dongle that can be used in the event of a failure affecting the main license server. The use of the backup server or the emergency dongle is logged and can be limited to a maximum duration. Overflow License The user is entitled to use more licenses than the volume he purchased. The use in excess is logged and can be limited in terms of period of validity and volume. This model allows the billing of the licenses that are actually used. Borrowable License The user is entitled to borrow a license for use on a local computer (CmActLicense) or CmDongle for a fixed period of time. During this time, the license remains allocated to the license server and cannot be used otherwise. When the borrowing time expires, the license is automatically made available again on the license server and can no longer be accessed locally. It is possible to return the license manually to the server or renew a borrowed license. Transferable License The user is entitled to permanently transfer a license to another PC or onto a CmDongle. It is possible to specify whether this can be done online or completely offline. Named User License The license is associated with a user name. Computer-bound License The license is associated with a specific computer. Time Zone License The license can only be used in the specified geographical region (time zone). Country-Based License The license can only be used in the country that the software vendor has whitelisted or did not exclude in a blacklist. Contact our sales team to learn more about our products & solutions.